Happy Sunday everyone! August already! Seriously! where is this year going? 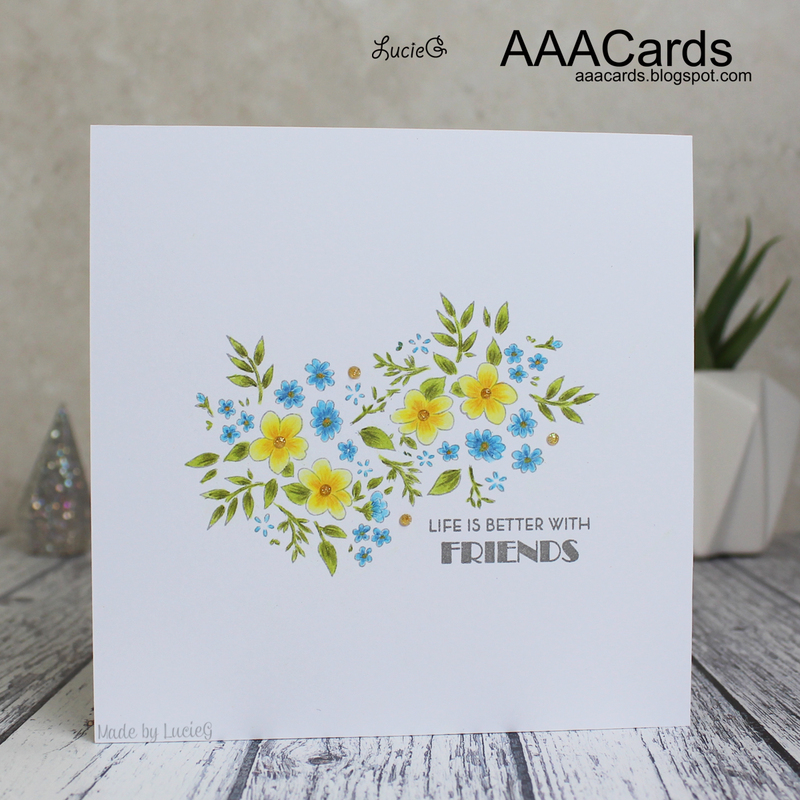 It’s time for a new challenge over at AAA Cards and our theme this fortnight is friendship. Our sponsor is CAS-ual Fridays. There are so many ways to reflect this theme, aren’t there? In the end I decided to do some simple stamping and colouring using the Altenew Ditsy Print stamp set. I love that pretty pattern – and even though Altenew included layering stamps in the set, I wanted to use my Prismacolor pencils to colour it. I must confess, I got a little carried away when colouring this image – I lost track of time and burnt my dinner! Oops! At least it was still edible…. just! My teammates have shared some gorgeous CAS cards on the AAA Cards blog and we are also joined by Sandie from London Days as our Guest Designer. She has some fabulous creations – you must pay her a visit! Beautiful! Love the fresh and summery look of your colours, obviously been raining in that garden!